Fig. 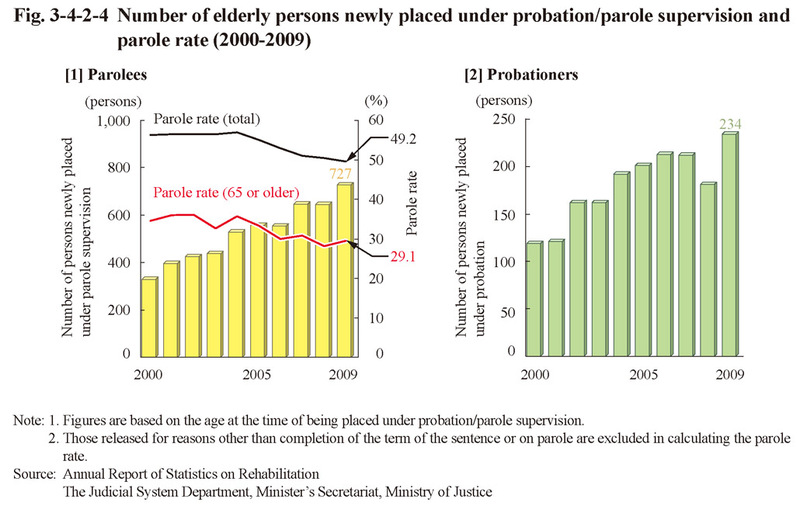 3-4-2-4 shows the number of elderly probationers/parolees newly placed under probation/parole supervision and parole rate over the last 10 years. The number has been on an increasing trend with both parolees and probationers. 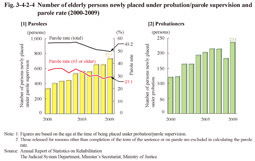 The parole rate of elderly persons was lower than that of total released inmates (approximately 49-57%), which is probably due to the fact that in many cases elderly persons could not secure a residence after being released because they had no guarantor, etc.